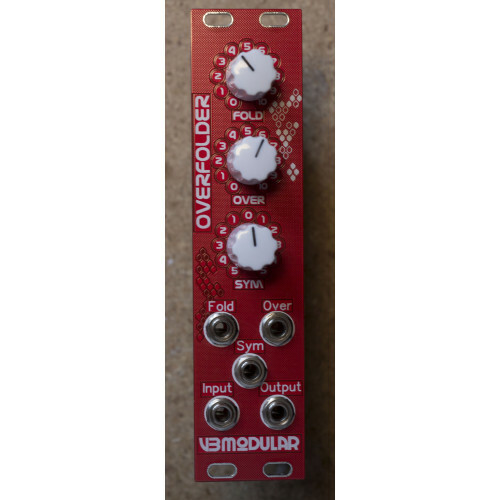 overfolder is a 6HP complex analog wave folder. the module features two cascaded folding sections, labelled ‘Fold’ and ‘Over’. There is also a symmetry control (‘Sym’), which offsets the input signal for timbral variation. Each of these sections has a manual control knob as well as an external CV input. 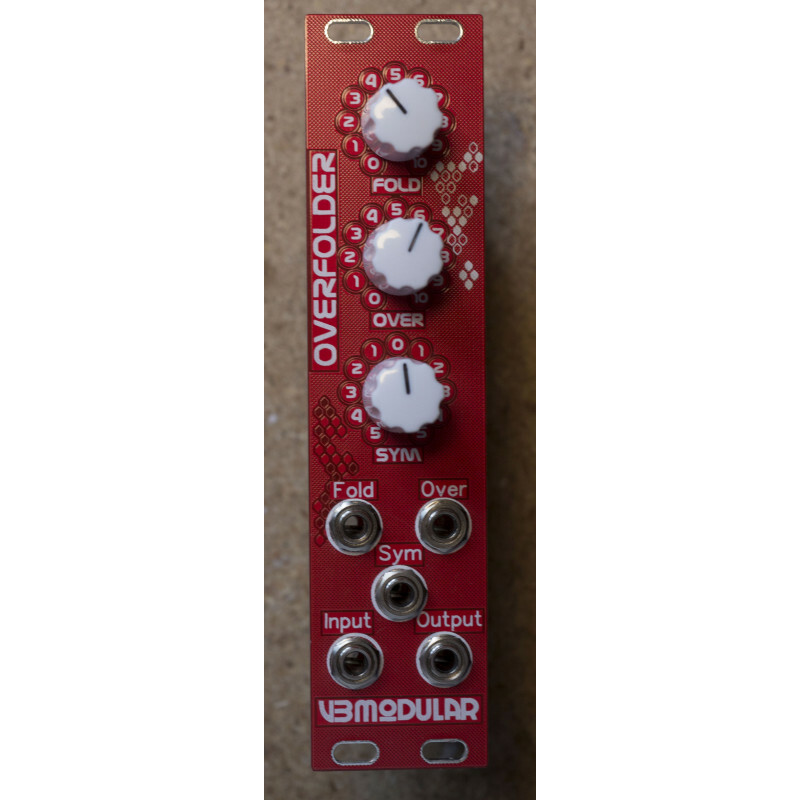 With the ‘Fold’ and/or ‘Over’ knobs at low settings, the Overfolder will be silent, which allows for patching a voice without a VCA. There are also certain settings where when no input signal is present, the module will output various colours of noise – this is normal behaviour for this circuit topology and can be another alternative way to use the module. The Overfolder will work with audio signals as well as control voltages – In audio use it works best with Triangle, Sine and Saw waves from an oscillator. Square waves don’t work as well, as they are not easily ‘folded’, other sources that are not oscillator waves may or may not yield useable/interesting results. It is recommended to get acquainted with the module by using a sine or triangle wave before you start experimenting with different sound sources.